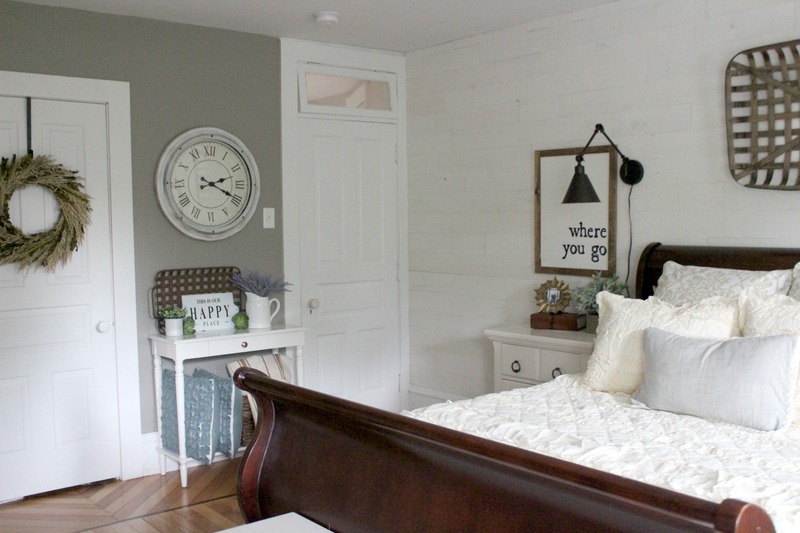 How to use Stikwood peel and stick reclaimed wood wall treatment – a very simple way to add a shiplap wall treatment to any room. 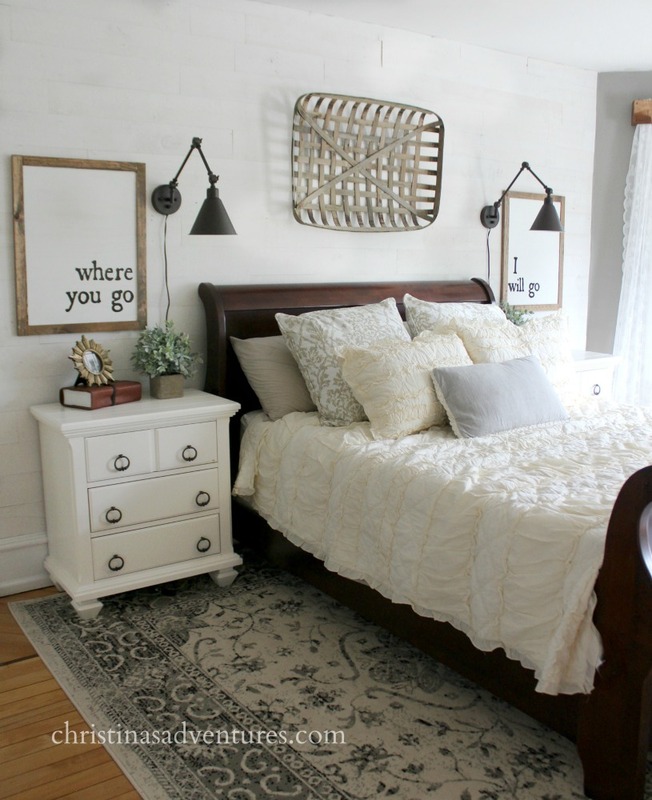 Works really well on plaster walls too! I received product from Stikwood for this post, but was not obligated to write a positive review. As always, opinions are 100% my own. I’ve learned something about what really gives me allll the heart eyes in a home. I am in love with adding architectural interest and texture. It just elevates a room from good to WOW. I love how our DIY brick wall makes such an impact. 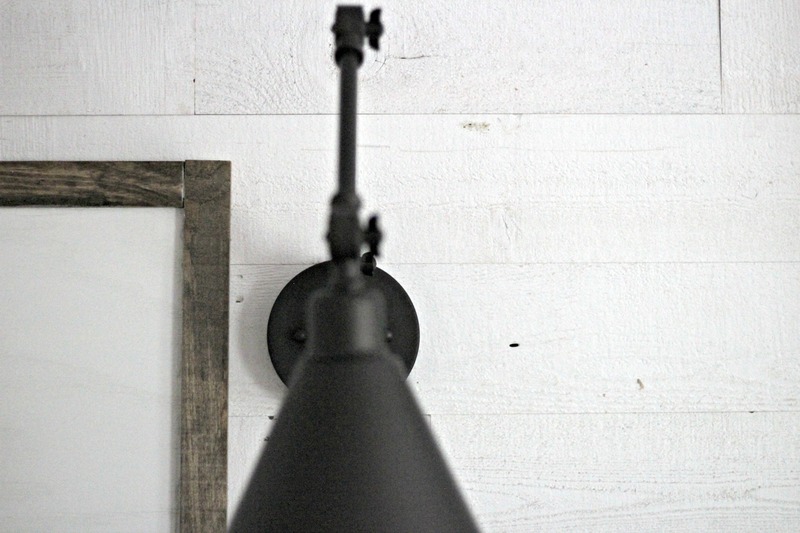 I love the shiplap in our bathroom & kitchen. And I love the Stikwood ceiling in our hallway. Now? 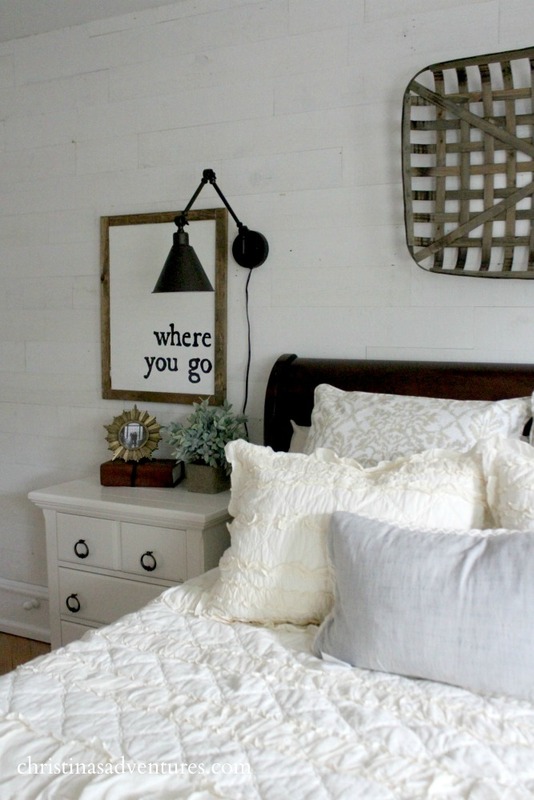 I love this Stikwood wall in our bedroom! 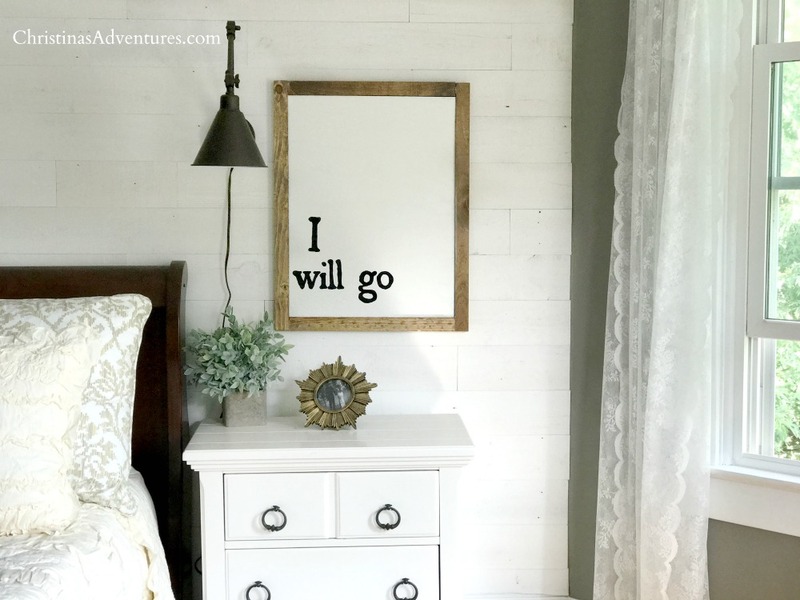 I wanted to either do shiplap or a board & batten wall treatment (like we did in our son’s room) on the wall behind our bed. BUT we have old plaster walls, and they’re kind of a nightmare to work with. If we would have to put nails in them, we’d have to repair the plaster & repaint…just an annoying process. We used Stikwood on our plaster ceilings in our downstairs hallway, and it was the perfect solution to cover up the cracking plaster. This style is called “Hamptons” – it’s new, and I really love it so much. It adds just enough texture and warmth to the room, and we’ll enjoy it for years to come. 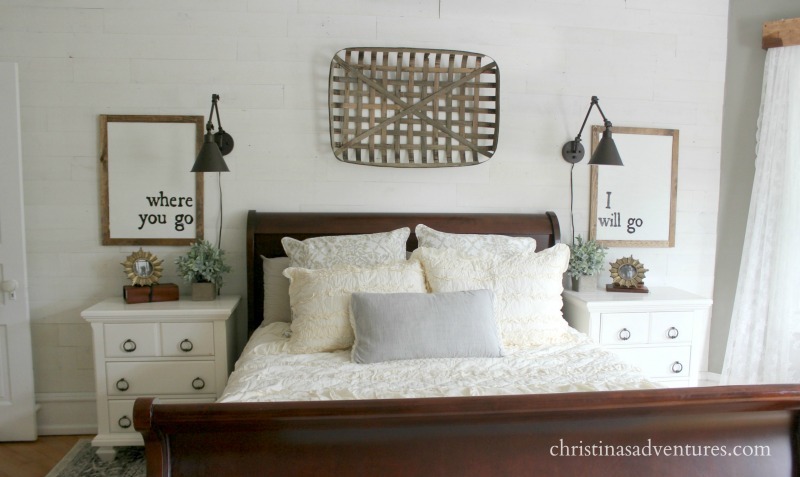 All of the sources and details of our bedroom makeover here. Where do you get the stick wood from I’m dying to know? 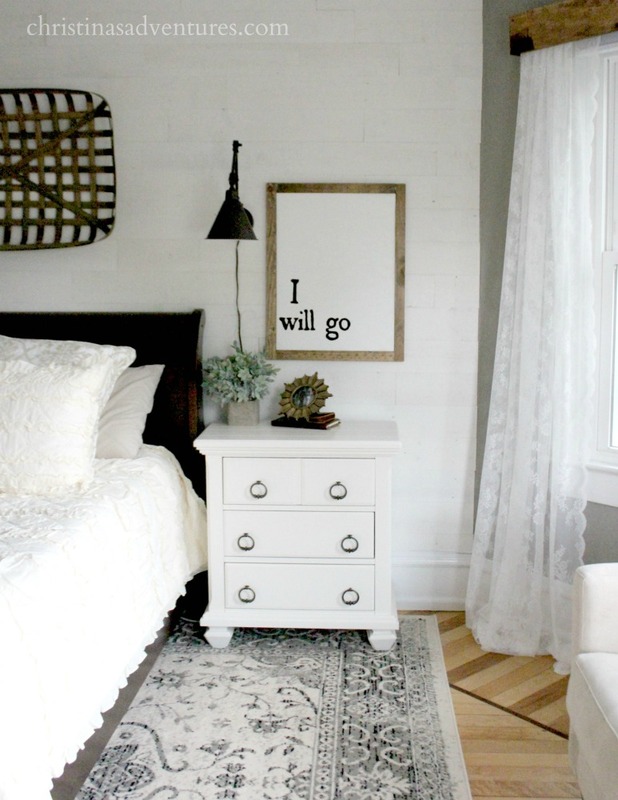 Is the art behind your night stands one of your DIY projects?